New vehicle pricing includes all offers and incentives. Tax, Title and Tags not included in vehicle prices shown and must be paid by the purchaser. While great effort is made to ensure the accuracy of the information on this site, errors do occur so please verify information with a customer service rep. This is easily done by calling us at (203) 438-0471 or by visiting us at the dealership. Discounts are for BMWFS Lease & Finance customers only and includes all BMW incentives. All leases are with $3,900 due at signing, excludes 1st Month Payment, Security Deposit, Bank Fee, Document Fee and Any Applicable Taxes. 10K Miles per year for 36 Months (all i3 leases 24 months). Must see dealer for more details. Offers are valid until February 28th, 2019. NAV, Sunroof, Heated Seats, iPod/MP3 Input, Onboard Communications System, Dual Zone A/C, Back-Up Camera. Phytonic Blue Metallic exterior and Oyster Vernasca Leather interior, xDrive30i trim. EPA 29 MPG Hwy/22 MPG City! READ MORE! All Wheel Drive, Power Liftgate, Rear Air, Back-Up Camera, Turbocharged, iPod/MP3 Input, Onboard Communications System, Dual Zone A/C. M SPORT PACKAGE 2 Standard Suspension, Shadowline Exterior Trim, High-Gloss Roof Rails, LED Headlights w/Cornering Lights, SiriusXM Satellite Radio, 1 year All Access subscription, M Sport Package, Lumbar Support, Comfort Access Keyless Entry, Aerodynamic Kit, Panoramic Moonroof, Wheels: 19 x 7.5 (Style 698M) M double-spoke, Bi-color, Tires: 245/50R19 AS Run-Flat, Aluminum Rhombicle Interior Trim, Sport Leather Steering Wheel, PREMIUM PACKAGE Heated Front Seats, Head-Up Display, Navigation System, Remote Services, Advanced Real-Time Traffic Information, Apple CarPlay Compatibility, 1 year trial, In-Dash CD Player, Wheels: 19 x 7.5 (Style 692) V-spoke, Tires: 245/50R19 AS Run-Flat, Heated Steering Wheel, harman/kardon SURROUND SOUND SYSTEM, DRIVING ASSISTANCE PACKAGE Active Driving Assistant, rear cross-traffic alert, Active Blind Spot Detection, Lane Departure Warning. At BMW of Ridgefield creating value for our customer is our number one priority. We know that as a customer you have high expectations, and as a dealership it is our job to exceed them. Our 50,000SF facility serves as proof of our dedication to excellence. This flagship center includes a state-of-the-art service facility, showroom, and vehicle delivery center. 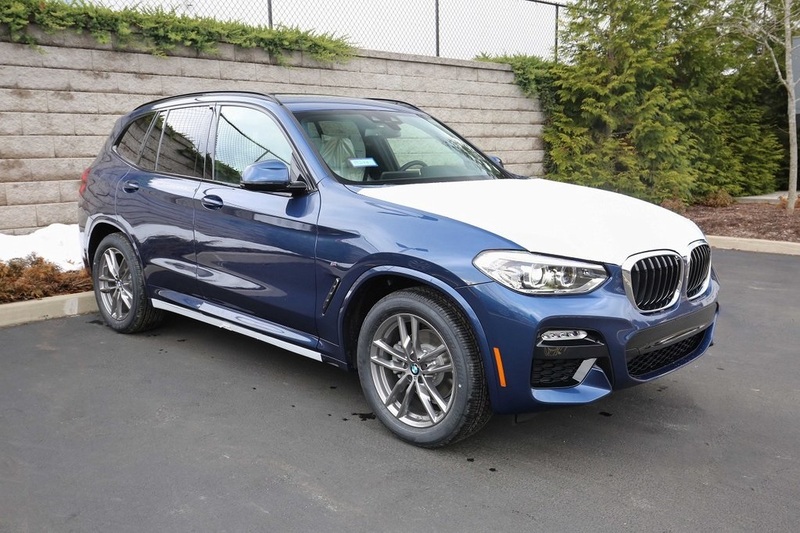 BMW of Ridgefield has everything you need to make your next vehicle purchase your best. 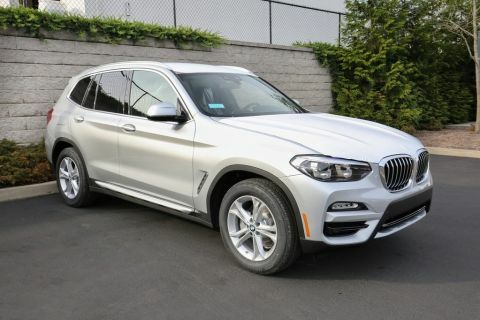 From an array of affordable car loan options for our Ridgefield customers, to new BMWs, and used cars in Ridgefield, we’ve got you covered. 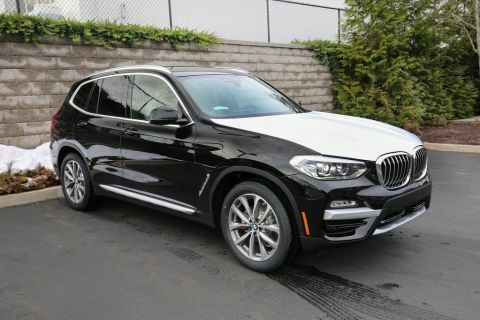 Given our state-of-the-art BMW service facility with a three-lane service drive-in, astute team of BMW specialists, and commitment to keeping your car in mint condition so that you get the most out of your investment, it’s easy to see: we aim to please. 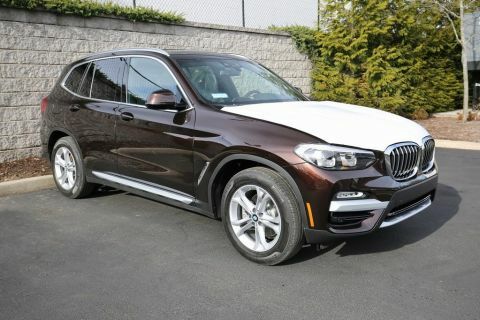 BMW of Ridgefield	41.3308533, -73.4722669.